Celebrate with Pie & Mash Feasts for a fiver! 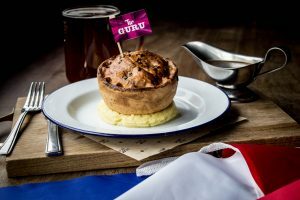 As well as all the award winning meat free, gluten free and meaty pies you know and love already, we’ve got three Pie Week specials to try too. They’re limited-edition so make sure get your hands on one fast. Because when they’re gone, they’re gone. 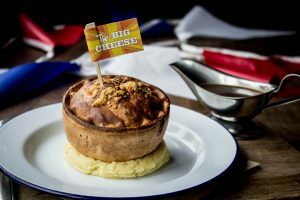 Our third Pie Week special? We’ll tell you more about that one a bit nearer the time, so watch this space…. Look out for our pies – including The Guru and The Big Cheese – in good food shops and pie pubs across the UK too. Or you can buy some online and have yourself a Pie Week party at home.